We all love soccer jerseys. That’s why you’re on this site and why we created it a long time ago. Four versions of Football Fashion later we’ve seen our fair share of the good, the bad and the ugly in football kits. Sadly, we are now too often seeing the biggest sportswear makers outfit clubs and countries in uncreative, uninspired shirts. Commercialization also continues to creep in with kits in major European leagues now all carrying at least two sponsor logos and counting. All of this has led fan of The Beautiful Game to begin designing their own concept kits with some taking them to the physical world. 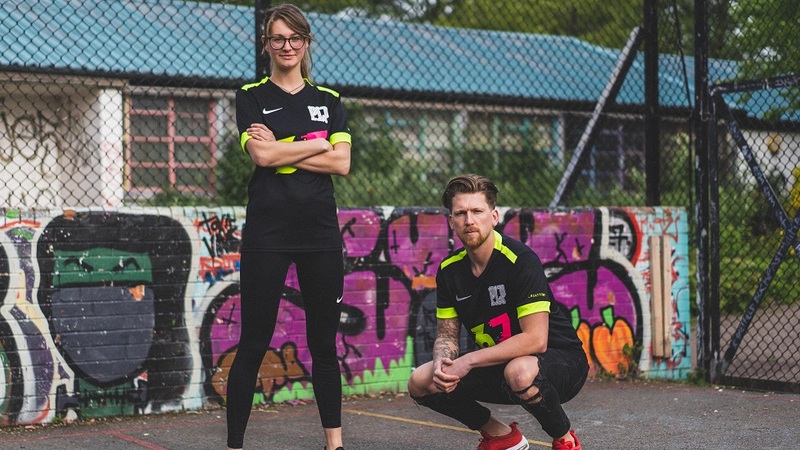 One of these collectives is the team at CREATEDBY who work with soccer gear specialists Kit Locker to design, manufacture and market several brilliant shirts for small influencer clubs and soccerphiles seeking to show their love for the game through their everyday attire. Here is an introduction to CREATEDBY via a World Exclusive at a couple of their clever offerings. SE DØNS are considered an influencer amateur club out of South East London. With an amazing over 72,000 YouTube subscribers, the DØNS are known for their gritty play, family-like team spirit and a good-sized fanbase. 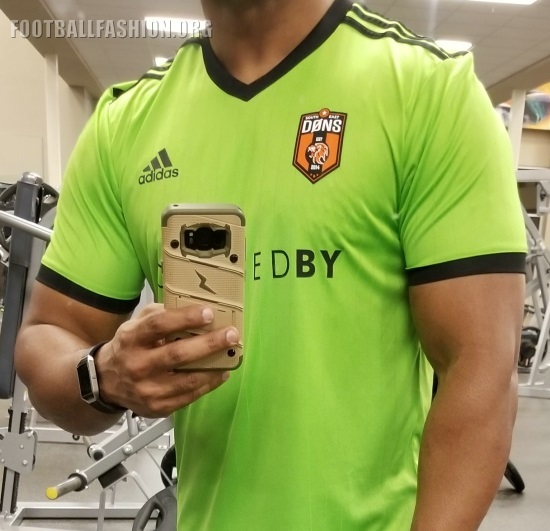 Their CREATEDBY 2018/19 kit is based on the classy adidas Tabela 18 template featuring retro-vibed pinstripes in its fabric along with a 1980s-inspired v-neck and sleeve cuffs. 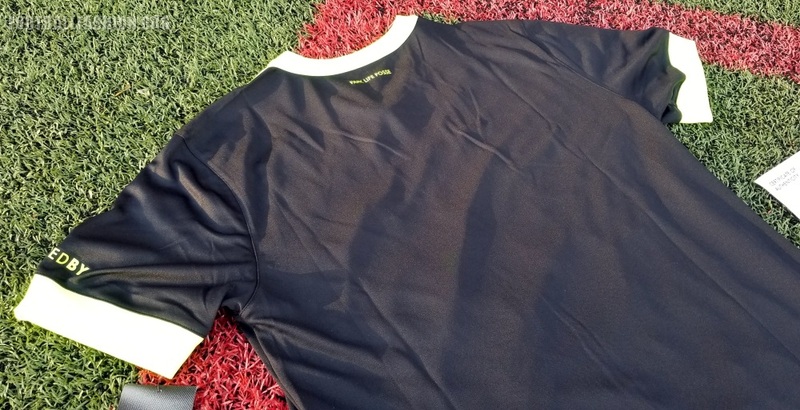 CREATEDBY has applied the SE DØNS treatment to the jersey by using the team’s in your face yellow-green and black colors. The club’s well-designed crest is printed in a raised rubberized material on the left breast in typical football kit fashion. 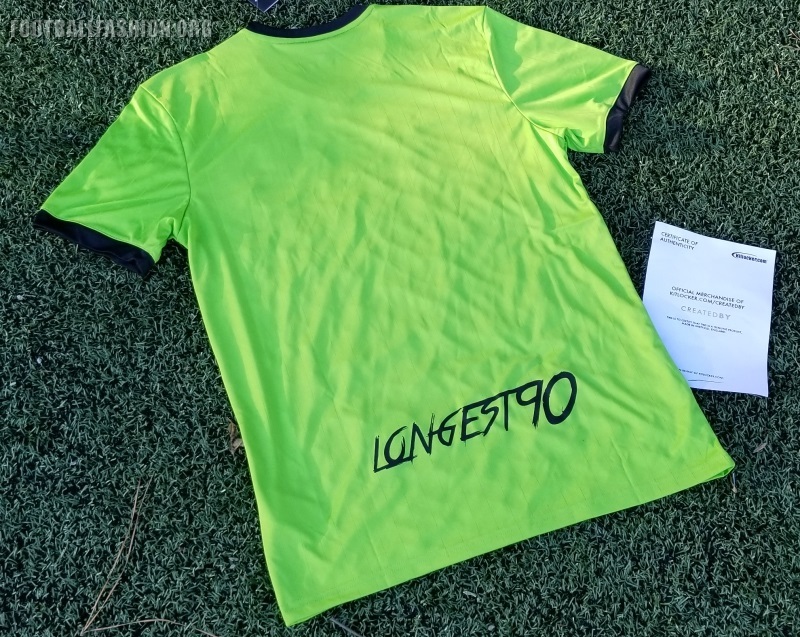 The DØN motto of “LONGEST 90” (as in the longest 90 minutes of soccer that you’ll ever ensure) is printed in black on the longer back is a clever graffiti-inspired font. 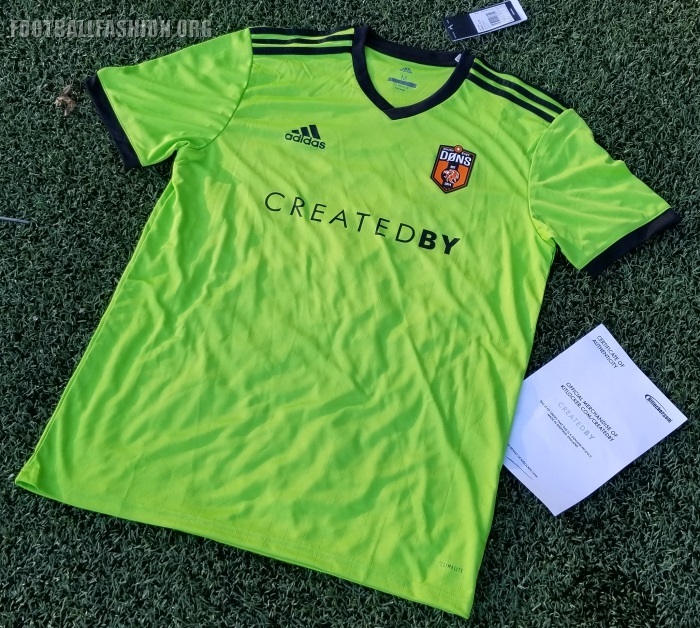 The well-done CREATEDBY logo is printed on the front in the shirt sponsor logo. 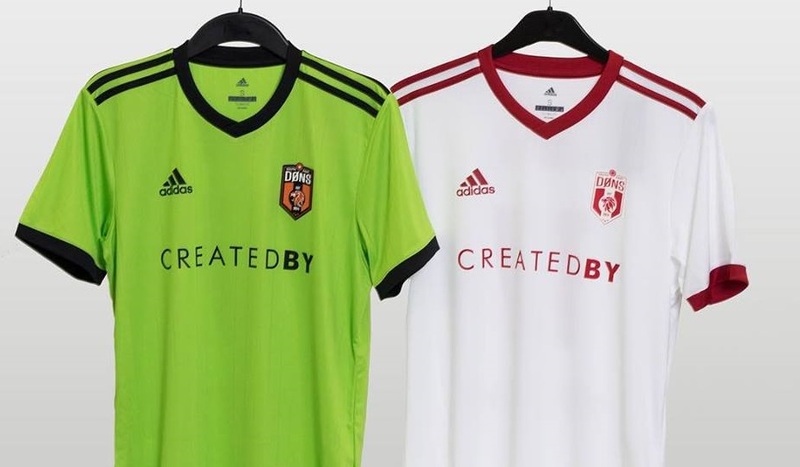 These four elements combine with a well-selected adidas teamwear design to result in a stellar kit that rivals anything you saw in the Premier League this weekend. 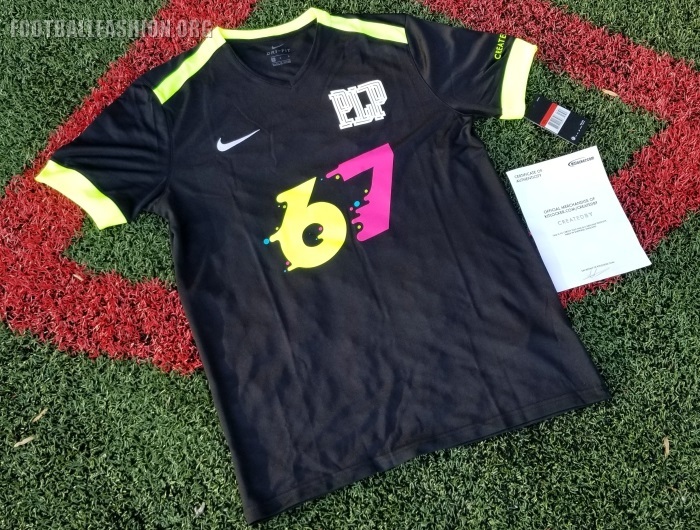 The CREATEDBY Park Life Posse 2018/19 Nike kit celebrates the culture of pickup soccer that has produced so many of world soccer’s stars through the year and a pure form of the game preferred by many amateur and former college and professional players. 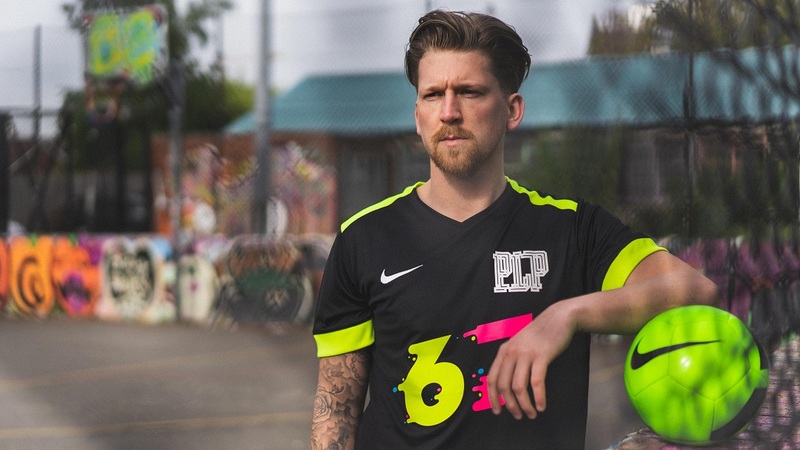 The CREATEDBY Park Life Posse jersey uses a flashy Nike teamwear template that we’ve not seen used for any professional club shirts to date. It is a black modern v-neck affair with bright yellow neon accenting at its sleeve cuffs, rear collar and shoulders. CREATEDBY has transformed this Nike teamwear catalog item into sheer footballing brilliance via a series of subtle yet quite visual effective components. The first of these are the Park Life Posse initials screen-printed in white on the left breast. The font used is an old school one reminiscent of that used in the 1970s and 1980s. A flashy 6/ 7 graphic that includes a splatter effect is printed in bright pink and yellow at the front of the jersey. This is arguably the kit’s most attention-gathering item of detail because of its size, color and good design. Pickup soccer connoisseurs will recognize the digits those of the sixth and seventh days of the week when they head to their local parks looking for a runout or two. 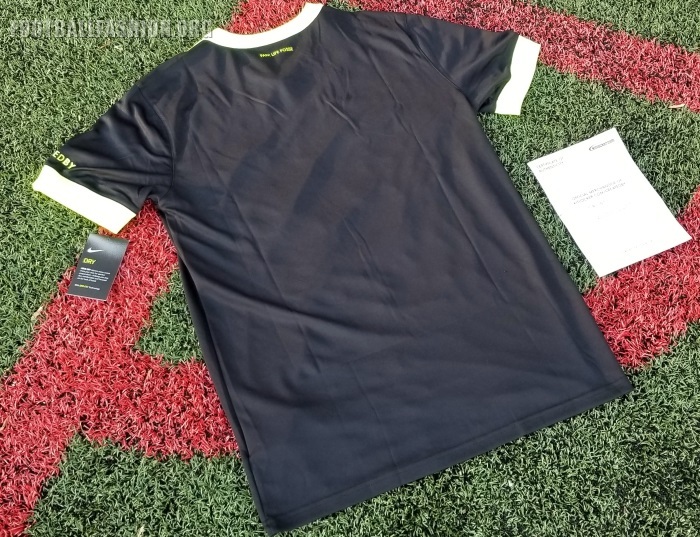 “Park Life Posse” is also printed in neon yellow on the outside upper back while the CREATEDBY logo appears on the outside left sleeve in the same color. All CREATEDBY kits come with hand-signed certificates of authenticity. 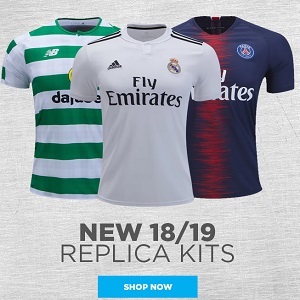 They are on sale in the Kit Locker CREATEDBY Store.